Some aboriginal communities saw voter turnout spike by up to 270 per cent. WINNIPEG — Aboriginal activists who spent months mobilizing First Nations communities say Conservative Prime Minister Stephen Harper's attempt to disenfranchise aboriginal voters backfired and fuelled turnout so high that some reserves ran out of ballots. Some aboriginal communities saw voter turnout spike by up to 270 per cent in the Oct. 19 election despite the Fair Elections Act which made it harder for someone to vote without approved identification. In the riding of Kenora, which includes 40 First Nations in northern Ontario, voting on the reserves was up 73 per cent — almost 3,000 voters. At least four of those First Nations ran out of ballots and either used photocopies or waited for more to be brought in. "It was so heartening to see," said Tania Cameron, a driving force in getting those people out to the polls — many for the first time — both in Ontario and across Canada. "I was thinking we're going to see a turnout that Harper never expected." The band councillor in Dalles First Nation started up First Nations Rock the Vote on Facebook and organized countless "ID clinics" where people could see if they were registered or had the required identification to cast a ballot. Others started up similar chapters across the country, urging First Nations people to vote. 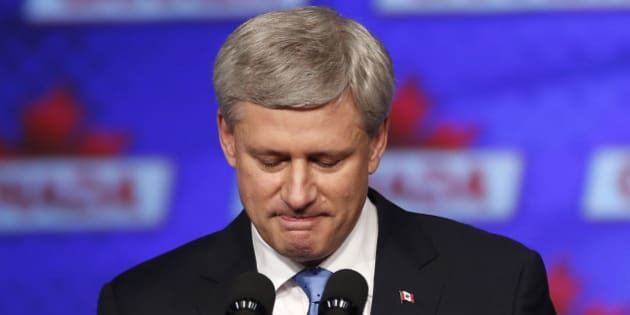 Harper saw the increased political activism amongst First Nations during the Idle No More movement and thought "we've got to make sure these people don't vote," Cameron said. She wanted to prove him wrong. "Harper's intent was to suppress the indigenous vote and that motivated me," said Cameron, a former NDP candidate. "It just caught on. I think the excitement of getting rid of the Harper government, showing Harper that his oppression tactics weren't going to work — I think that was a huge motivator for many people who decided to step up." A record 10 aboriginal MPs were elected when the Liberals swept to power Monday, ending the Conservative rule of almost a decade. In Kenora, where aboriginal voter turnout was high, Conservative Natural Resources Minister Greg Rickford went down in defeat. Although Elections Canada has not calculated national aboriginal voter turnout yet, chiefs say the election "awoke a sleeping giant" amongst a usually quiet electorate. When some polling stations ran out of ballots, Cameron said no one walked away in disgust. They just waited until another batch was brought in. Leah Gazan, a First Nations activist and education instructor at the University of Winnipeg, said the turnout was a direct reaction to the divisive tactics of the Harper government. Bringing in Bill C-51 — which many felt criminalized First Nations activists — and cutting funding for aboriginal organizations while weakening environmental protection only strengthened the resolve of First Nations voters, she said. "He was quite violent with indigenous people through aggressive cuts and aggressive legislation that aimed to silence indigenous people," Gazan said. "As much as he attempted to divide, he really brought people on Turtle Island together." It's not clear how sustainable the political engagement is, she said. The Liberals have made a lot of promises to First Nations people, not least of which is to call an inquiry into missing and murdered aboriginal women. But this election has shown aboriginal voters are a force to be reckoned with, Gazan said. "Part of the reason why they don't pay attention is because of voter turnout — it doesn't impact their privilege," she said. "With a higher indigenous turnout, they'll know they can't take it for granted."